Some people are afraid of the dentist, this is just a fact. Their reasons at the end of the day can vary from personal experience to horror stories they have heard in passing to just an intense fear of needles and drills. 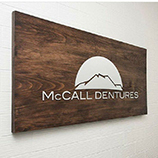 We understand the dentist is not your favorite place to be, however, at McCall Dentures in Indianapolis, we want you to have a beautiful and healthy smile. We also want to make your visit as comfortable as possible and this is why we offer sedation dentistry. Sedation dentistry is a great tool we can use to help you get through your appointment feeling calm and at ease. Learn All About Our Dental Practice! When you are under sedation at our dental office, our dentist can work more efficiently and quickly. The reason for this is because when you are anxious in the dental chair, you may be squirming, refusing to open your mouth, or not being able to stop talking out of fear. This vicious cycle can drag out your appointment, even more, heightening your anxiety further. Having some type of sedation will keep you calm, and will give our dentist the ability to do what he needs to do. When you are truly anxious about something, the feeling takes over your body and mind. The anxiety and fear is so great that you may not even be able to come to our dental office in Indianapolis. Sedation dentistry is a great idea for you because as soon as you enter our office, you will be given some type of sedation method. There are a couple different options available, but either way, they will wash away the anxiety you feel and you will be able to get your smile in check. When you are under any type of sedation the pain factor dissipates. At our dental clinic, we want to make sure your dental procedure experience is a great one. Having as little pain as possible is the goal every time. Some dental procedures can induce pain because of what the dentist has to complete. If you know you need a root canal or an implant, think about using sedation dentistry for this more complicated procedure. One of the reasons why you may have an intense fear of the dentist is because of a past experience that was traumatic and probably painful. The last thing we want for our patients is to add more horrible visits to the list. Create happy and healthy memories when using sedation dentistry. Feel positive with our amazing, caring, and professional dental staff at McCall Dentures, where your oral health is a priority. Common sedation dentistry is when the patient is given medication, similar to valium, that will ease anxiety and fear, but will still keep the patient alert. You will be able to communicate with our dentist if need be, but otherwise just lay back and relax. 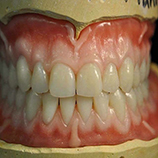 You are in wonderful hands and your dental procedure will go more smoothly. 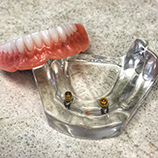 At McCall Dentures in Indianapolis, we want to help ease your terror and anxiety of the dentist by showing you what you have been missing when it comes to dental care. 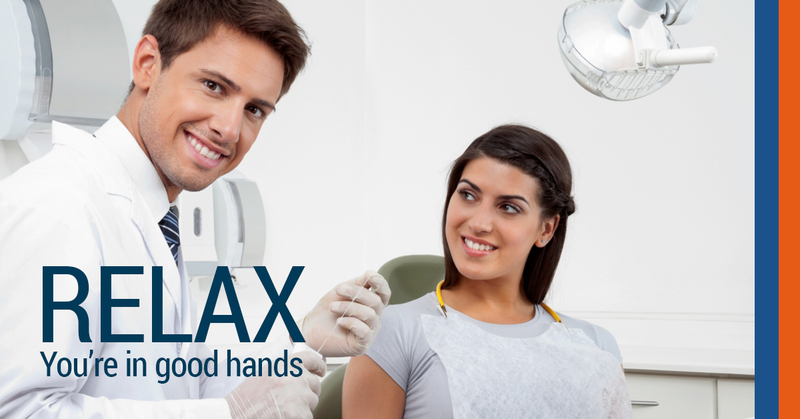 Our dental staff is here for all your needs, even if you need a hand to hold. Our staff understands the fear you may have of the dentist and that’s why we want to help you with our sedation dentistry. Learn more here and call us with any questions or concerns! Keep checking back at our blog for more information about the options we have at our dental practice in Indianapolis and Lebanon.